Geresu is one of the Basketo Old Testament translators. He is married and a father of four children, one girl and three boys. He came to Christ in 1981 due to his father’s illness. Geresu´s father was critically ill and it had become known that one of the best ways for people to get out of any kind of physical and spiritual problem was to become a Christian (or a Misona as the Basketo say). 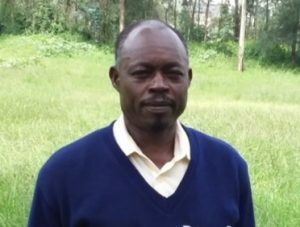 When Geresu saw that his father became well from the challenge of physical sickness by becoming a believer, he decided to give his life to Christ and follow Jesus too. Geresu himself had many life challenges that he would like to be freed from, and Christ did the same for him. Geresu has been serving for a long time now as a leader in the Kale Heywit Church, and has been one of the translators for the Basekto New Testament for the past 15 years. To fully fund the Basketo translation project we need to raise £30,000 per year for the next three years. To support the Basketo translation team please click here. Even £5 per month will go a long way towards completing this project. The Basketo people are extremely grateful for each and every donation to this project, however small or large.